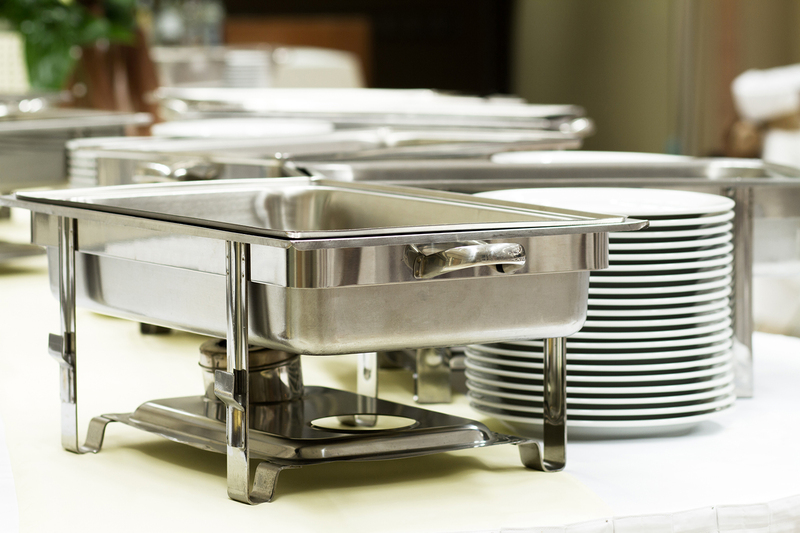 When ordering rentals not assocated with our catering service a $250 minimum applies. Prices and avaiability are seasonal and are subject to change without prior notice. San Francisco Catering Company provides complete event rental support for our catered events as well as a stand alone service. Availability is seasonal but most pricing stays the same. Our pricing is on a par with all of the top bay area party rental companies. In fact, in addition to our in house items, we coordinate outdoor festival, event and party rentals from any of the specialy event suppliers that service the San Francisco Bay Area. Glassware, flatware and dishware may need polishing and finishing before service. You must spot check all items before each event. If you have hired staff from SF Catering, this will be a function of your servers and/or bartenders. Clean glasses are delivered face down. Please return all dirty glasses to their carrying containers face up. This prevents any residual liquid from draining out and assists in tracking usage during your event. Chairs may need to be wiped with a moist rag to assure they are dust free for your guests. Tables (most rental tables) will require linen or cover of some sort, and are not presentable for service without such. Avoid relpacement costs. Please do not store dirty linens in plastic bags, as it promotes mildew and can destroy a cloth. Linens that have spilt wax, or other possibly difficult to clean items, should be identified. This will assist us in properly tending to the item, and will reduce the possibility of one cloth damaging other items. If you have ordered several lines from us a cloth linen bag shall be provided. Replacement costs will vary according to the item. Sub-contracted rental items that are missing at the time of the event but later found may be returned directly within 5 working days of the event. without additional charge.